How do you approach daunting museums like the Louvre or the Metropolitan Museum of Art? We limit the visit to a certain wing of the museum, a certain exhibit or a certain subject matter. We would end up like zombies if we just wandered aimlessly and lost track of time. 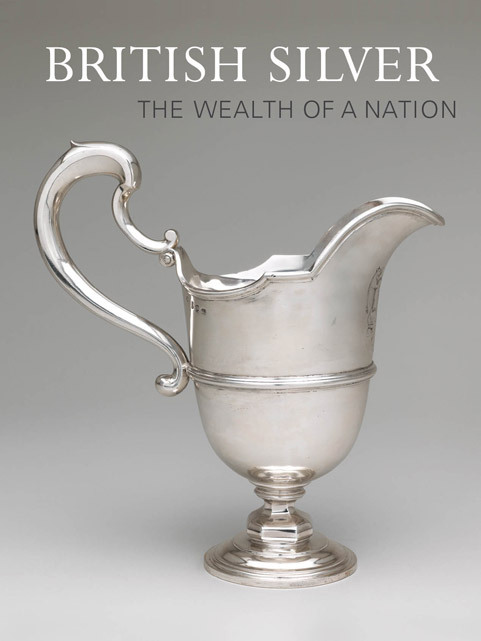 I love decorative arts, husband is willing to follow my lead in a museum so we headed to the British Silver exhibit first. It is a small collection but there are some very pretty pieces. This display contains a set of gorgeous gilt and silver platters and Chinese imported porcelain with English silver mounts, all from the late 1500's. 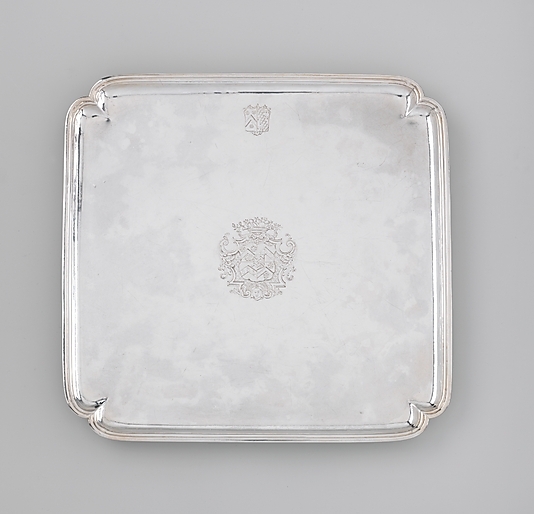 The etched platters were stunning up close. Below is one of them from the online catalog. Made by an unknown silversmith with the initials P.M.
Cameras are allowed in the museum without flash but glare and shadows reduce the quality as you can see from the comparison of the same porcelain silver-gilt ewer from 1547 below so I am going to show you my favorite pieces with a few photos from the Metropolitan Museum of Art online catalog. 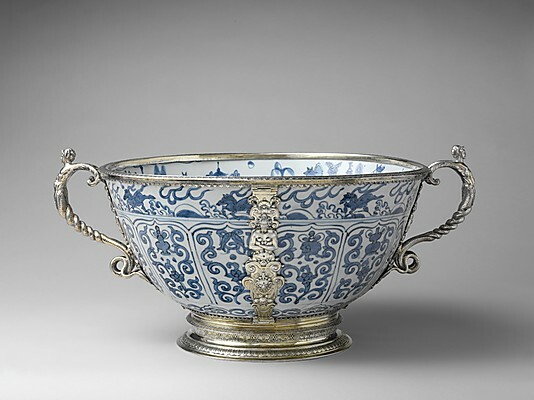 Another unmarked Chinese bowl from the 1500's. The beauty of blue and white never gets old! 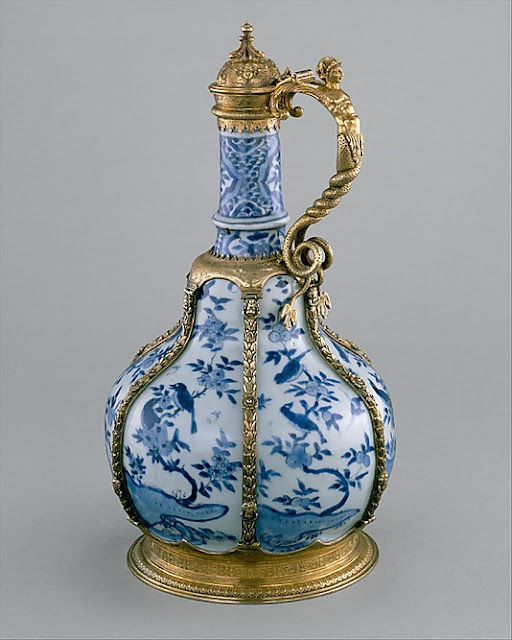 A wine cooler by William Lukin, 1716. 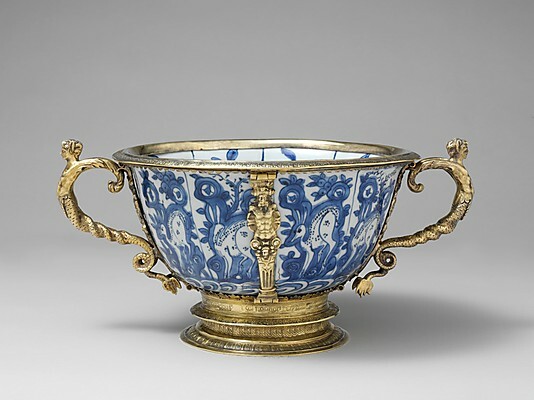 Another unmarked Chinese porcelain bowl from the 1500's. 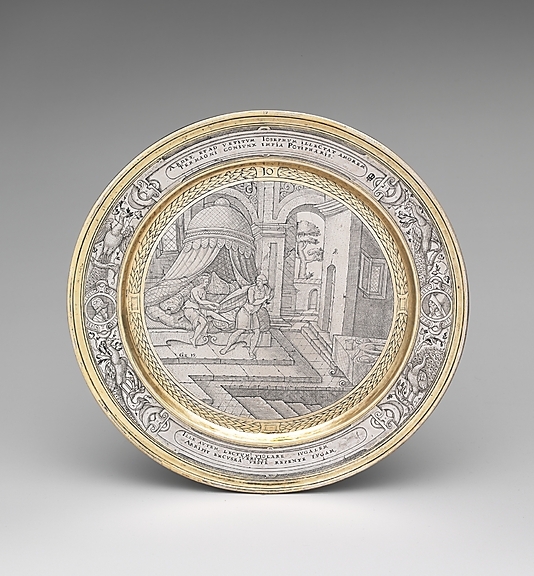 Love the simplicity of this platter by Isaac Liger, 1714. Beautiful Islamic earthenware next post....to learn more about the British Silver exhibit, go here. Hi Cindy, We do the same thing at the MET - divide and conquer. Everyone gets to pick an exhibit and we finish up enjoying the sculpture in the sunny, American wing. What an amazing place!